One of the most time consuming and tedious parts of running an independent company is handling the pluses and minuses, undoubtedly; it is perhaps the most important aspect of a business as well. 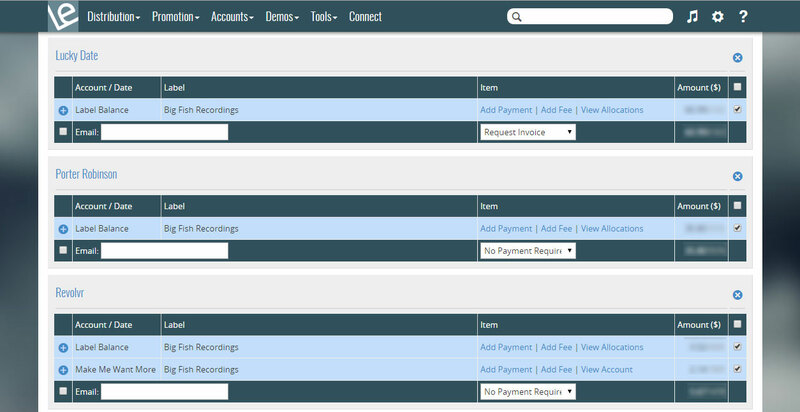 Label Engine's affordable accounting system gives you the option to handle the heavy load within minutes! Stop paying for complicated systems that are not designed for your real needs and stop hiring overpaid accountants that do not handle your work in a timely manner. 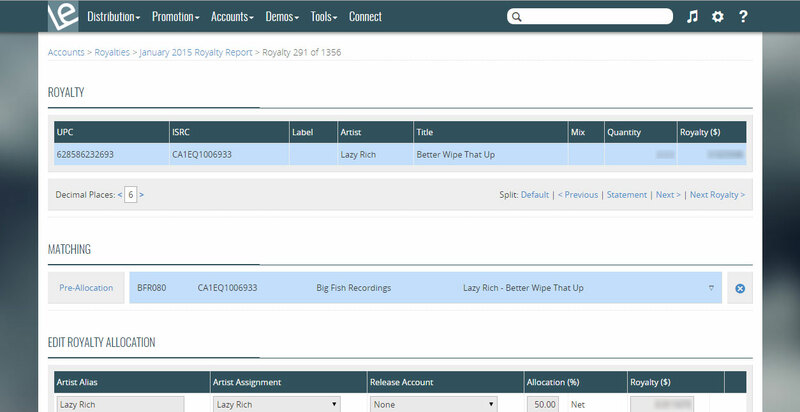 Label Engine is compatible with royalty statements from any store and any distributor (or you can create your own), in any currency, in xls, xlsx, csv or txt format. Once uploaded, you can review the royalties that are included in the Statement, and edit or remove any that you don't want to be included. 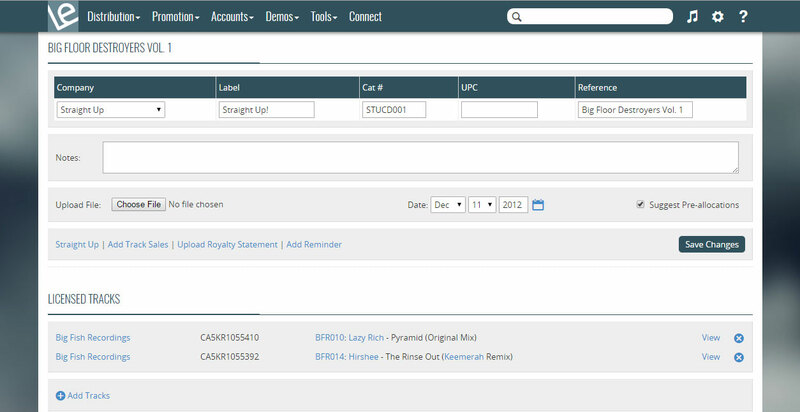 Our unique "pre-allocation" method allows you to set up releases and "splits" in advance so our system can recognize them either by UPC, ISRC code or a combination of the catalogue number/artist name/track name/mix to automate the process for any future uploads. If you have uploaded royalty statements before our system will recognize previously used matches so next time you process a statement, you will spend less and less time doing your accounting and more and more time doing enjoying any of your hobbies. Paid an advance? Need to add an expense? Recently sub-licensed any of your music? We give the tools to handle any additional income or deals, give your artists a transparent insight into how their music is doing. Whether you have a small up and coming or a large-scale label, we have the tools you need! Assign royalties to clients based on individual contracts or keep an ongoing balance. "Label Engine has made calculating artists royalties an absolute breeze, especially with the ability to break down releases with remix splits which is a real plus in the EDM industry. 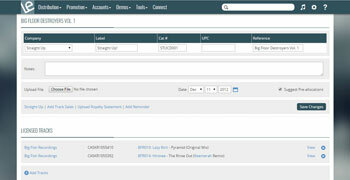 All our artists love the sales reports we email them directly from the system. It is by far the best I have used hands down"
Label Engine's Accounting system is available with a Accounting Subscription and is provided free of charge to all Labels that use our Premium Distribution service. For full subscription details please check our pricing page. Sign up for an account and start your 7 day free trial today!